Several necrotic, purpuric, and blistering papules and plaques on the hands. Necrotic, purpuric, and blistering plaque on the wrist. Large ulceration of the pharynx covered with a dense necrotic membrane. Disorders to be considered in the differential diagnosis of cutaneous granulomatosis with polyangiitis (Wegener granulomatosis) lesions are listed below. Kasper D, Fauci A, Hauser S, Longo D, Jameson J, Loscalzo J, et al. The Vasculitis Syndromes. Harrison's Principles of Internal Medicine. 19th ed. New York, NY: McGraw-Hill; 2015. Ferri F. Granulomatosis with Polyangiitis (Wegener’s Granulomatosis). Ferri's Clinical Advisor. Elsevier; 2016. 555-56. Wolff K, Johnson R, Saavedra A.P. The Skin in Immune, Autoimmune, and Rheumatic Disorders. Fitzpatrick's Color Atlas and Synopsis of Clinical Dermatology. 7th ed. New York, NY: McGraw-Hill; 2013. Avcin T, Singh-Grewal D, Silverman ED, Schneider R. Severe digital ischaemia in a child with Wegener's granulomatosis. Scand J Rheumatol. 2007 Jan-Feb. 36 (1):78-80. [Medline]. Stone JH. Granulomatosis with Polyangiitis (Wegener Granulomatosis). Current Diagnosis & Treatment in Rheumatology. 3rd ed. New York, NY: McGraw-Hill; 2013. Francès C, Du LT, Piette JC, Saada V, Boisnic S, Wechsler B, et al. 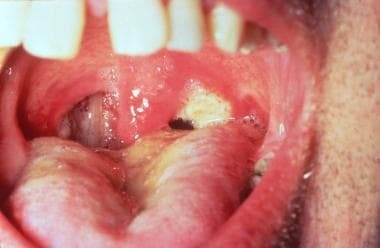 Wegener's granulomatosis. Dermatological manifestations in 75 cases with clinicopathologic correlation. Arch Dermatol. 1994 Jul. 130(7):861-7. [Medline]. Hernandez-Rodriguez J, Hoffman GS, Koening CL. Surgical interventions and local therapy for Wegener's granulomatosis. Curr Opin Rheumatol. 2010 Jan. 22(1):29-36. [Medline]. Comfere NI, Macaron NC, Gibson LE. Cutaneous manifestations of Wegener's granulomatosis: a clinicopathologic study of 17 patients and correlation to antineutrophil cytoplasmic antibody status. J Cutan Pathol. 2007 Oct. 34 (10):739-47. [Medline]. Clarke LE, Clarke JT, Helm KF. The Vasculopathic Pattern. Color Atlas of Differential Diagnosis in Dermatopathology. Jp Medical Ltd; 219.